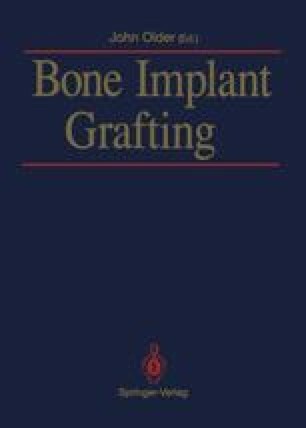 Historically the demand for allograft bone arose from the need to reconstruct skeletal defects in tumour surgery (Ottolenghi 1972, Parish 1973, Mankin et al. 1983, Gross et al. 1984). Today, with the expansion of hip and knee revision surgery, it is the tumour surgeons who learn how to do the reconstructions from the revision surgeons. The accumulated experience in revision surgery helps to elucidate the problems with the use of allograft bone in general.